Chronicle Books 2nd Annual Happy Haulidays Giveaway! Last year, Chronicle Books–one of my favorite publishers–started the Happy Haulidays Giveaway. This year, they have made it even bigger and better, giving bloggers, commenters, and charities a chance to win $500 worth of their books! There are also ways to increase your chances of winning. To read all the details, please visit: http://www.chroniclebooks.com/happyhaulidays?utm_source=Marketing&utm_medium=Email&utm_campaign=HappyHaulidays_110811 You must enter by December 2nd in order to be eligible. If I can still add–which is debatable considering the early snowstorm, lack of heat and power, sewer water in my basement, and fallen trees–that comes to $480.07. As for my charity, I choose the Wilbraham Public Library. As a writer, I have to perform research for my books and market research to find agents and publishers to which to submit my projects. The WPL has been an invaluable resource over the past few months. I would especially like to mention Children’s Librarian Elaine Wrubel, and Asst. Child Librarian/Early Childhood Specialist Heidi Kane, both of whom went digging into the basement storage to find books for me. They’ve been truly wonderful. REMEMBER: ONE LUCKY PERSON WHO COMMENTS ON THIS POST COULD BE A WINNER TOO, SO DON’T BE SHY! Joining us today is Michelle Nicole Martin, author of Princess and Missy’s Magical Adventures. This is a children’s book geared toward ages five and up. Michelle grew up in California and began writing poetry as a teenager. By the time she was thirty-one, she was writing children’s stories. We’ll talk to her about her new series, why she enjoys writing for children, and what she is working on next. Welcome to The Children’s and Teens’ Book Connection, Michelle. Can you please start off by telling us a bit about yourself? Hello! I hope that everyone had a good holiday. I wanted to thank you, Cheryl, for giving me this opportunity to appear on your blog. Princess and Missy’s Magical Adventures is the first book that I self published. I have written many other books, but they are not published yet. I served in the U.S. Navy. I have had an assortment of careers, but I decided that I like writing over all of them. A memory came to me a couple days ago. I was in second grade when we started writing short stories. I remember that I was finished first. Then, I read my story to the class. A few children and the teacher were impressed by my writing abilities. Everyone cheered for me afterwards. That encouraged me to continue. I loved writing as a hobby, but I didn’t think about publishing a book until I became an adult. I don’t have any children, but I absolutely love them. I babysit for a lot of different friends. I love the innocence and excitement that children have. About four years ago, I read my manuscript to my best friend’s son Zephan. He was enthusiastic when I read my story. He wanted me to keep reading. That encouraged me even more. The smile on his face lit up my world and I knew I wanted to write for children. Later, he started writing stories and I edit them for him. I write for adults as well as children. When I was about twenty-one years old, I published a poem. I want to publish books for both adults and children. I don’t feel it is difficult to write for children. I feel that I have an imagination as a child and I relate to them very easily. I enjoy the feedback from the children, especially when it is good. One of my friends bought five books from me. She gave one to her son Nathan. He read the book three times in a row. He told his mom how much he loved my chapter book. I went to go visit him and his family. Nathan asked me, “When is the book going to become a movie? I love it. When is the second series going to come out?” Those words melted my heart. I felt so alive after hearing that. This is why I love to write for children. I like to make children happy and also teach them. Princess is a poodle that loses her family. She becomes homeless. Even though she is in need, she saves children’s lives. She is then rewarded by Missy, a magical butterfly. They go on adventures helping people. There is some fantasy and also some realistic events that take place. There are lessons that show children as well as adults to never give up! When you carry on with your life and also help people when you can, wonderful possibilities occur! There are a lot of different reasons why I was inspired to write Princess and Missy’s Magical Adventures. Some parts of the book are lessons that I have learned. Other parts are what I have seen people go through. I went through a few hardships in my life. When I worked through the issues, my mind filled up with animals, love and encouragement. 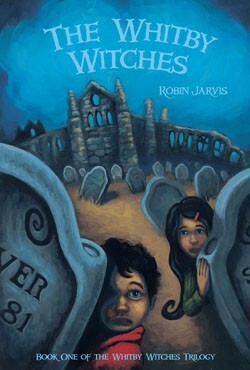 I have written the second and third series of Princess and Missy’s Magical Adventures. I am working on some poetry for adults right now. I also have five picture books that were critiqued by children’s author Louise Munroy Foley. I have about another ten children’s manuscripts that I haven’t finished yet. I also have been working on an autobiography. I haven’t decided if I ever want to publish that or not. I hope that everyone has a beautiful year. Thank you for taking your time to read my interview. Thank you for spending time with us today, Michelle. We wish you much success. 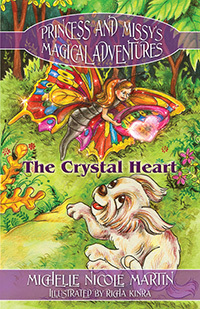 How would you like to win a copy of Princess and Missy’s Magical Adventures: The Crystal Heart? Here’s how! 3) Get one additional entry for friending me on Facebook at http://www.facebook.com/profile.php?id=1110037692. 4) Get one additional entry for following me on Twitter at http://twitter.com/#!/ccmalandrinos. Deadline to enter is 11:59 PM Eastern on Sunday, January 9, 2011 . Winner must be a resident of the United States or Canada and have a mailing address in one of those locations. The Children’s and Teens’ Book Connection is not responsible for lost or damaged goods. Ivy & Bean What’s the Big Idea? Winner! 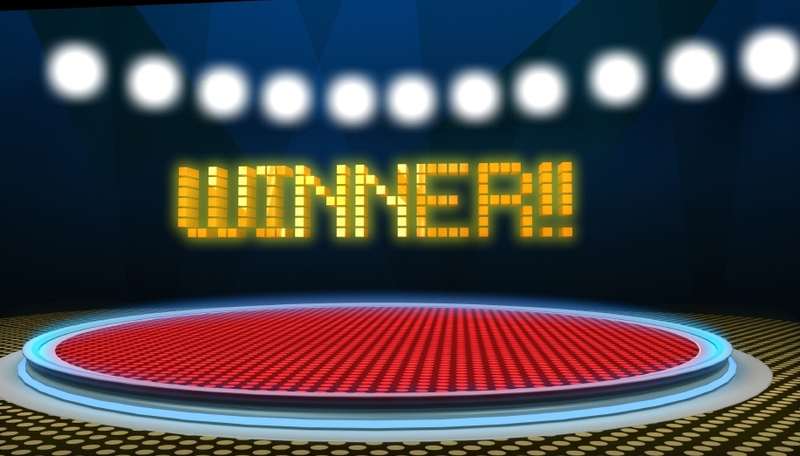 Congratulations goes out to J. Aday Kennedy, winner of a copy of Ivy & Bean What’s the Big Idea? I’ll email J. Aday tomorrow to get her mailing address. Thanks to all who participated in the giveaway. I’ll be posting another giveaway in a few moments, so be on the lookout for it. OFFICIAL WINNERS THROUGH NOVEMBER 14, 2009!!! Get a sneak peek at the Grand Prize, which will be drawn on December 1, 2009 and is worth $600 by clicking here! 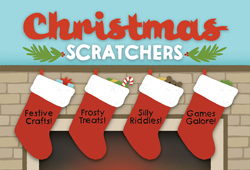 Check back daily for new prizes to be announced.